Whether you are traveling to Los Cabos for a wedding ceremony, family vacation or business incentive trip, our spectacular beachfront resort has everything you need to relax, have fun and explore the Baja Peninsula. 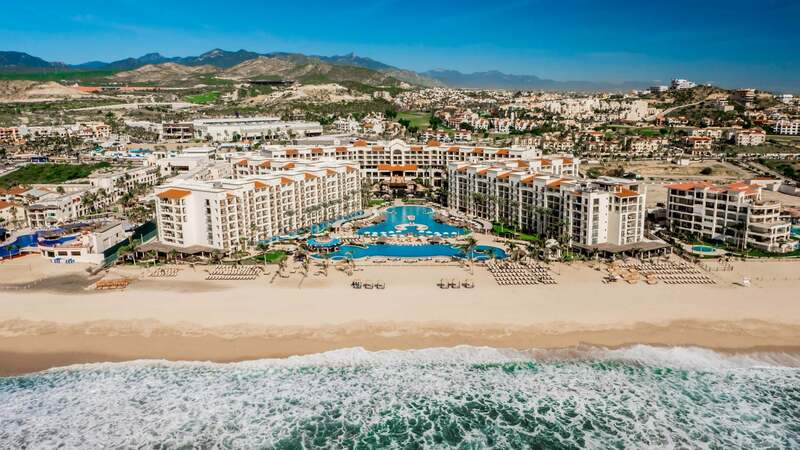 Here are some helpful tips and travel information to make of the most of our all-inclusive Los Cabos resort, from the distance to the nearest town to how to exchange currency, rent cabanas and book spa services and tours. Are kids allowed at Hyatt Ziva Los Cabos? No, the only rates we offer are all-inclusive. Yes. A pre-authorized HOLD will be applied as a deposit. Please consult with our Front Desk staff for specific details. Should you not have a credit card, a $50 US Dollar cash deposit per day of stay is accepted as an alternative, your money will be returned fully during check-out granted no incidents, or extra charges occurred. Your all-inclusive plan includes meals, drinks, entertainment, and many fun activities. However, we recommend bringing extra cash for off-site expenses, spa services, tours, and transfers. The resort will provide US Dollar to Mexican Peso exchange services, subject to availability. Payments are accepted in Mexican Pesos and all mayor credit cards. Hyatt Ziva Los Cabos is smoke-free family resort, however we do offer designated areas where smoking is allowed including, motor lobby, lagoon, and beach. Guests found smoking outside designated areas will be penalized with a fee of US$200 or MXN$5,000. A medical doctor is available on-site on a 24-hour basis, at additional cost. Certified lifeguards are available in pool and beach areas, first aid is provided on a 24 hour basis for emergency situations. Are pets allowed at Hyatt Ziva Los Cabos? Yes, babysitting service is available with prior request, at additional cost. All drinks and meals are included. On-site entertainment, fitness facilities, beach and pool butlers, non-motorized aquatic sports, daily outdoor and indoor activities, 24 hour room service, in-suite minibar, and free wifi. Tastings, pool foam parties and multiple social activities, are also part of the all-inclusive package. Please consult our Activities page for more information. No, the resort does not offer day-passes. Hyatt Ziva Los Cabos is a twenty minute drive away from San Jose del Cabo Inernational Airport, and a 5 minute drive from downtown San Jose del Cabo. No. However the resort can offer airport transfer services at additional cost offered by third party vendors. Beach Attire: Swimsuit attire is welcome, for outdoor beach beach venues. All other dining venues are available on a first come, first serve basis, reservations are not needed. What are the dining option for kids/children? All of our dining venues offer a kid's menu, and options. Are there any restaurants opened late at night? We offer a variety of beers, including Dos Equis Lager, Tecate and Tecate Light. A selection of local artisanal beers are also available in certain bars at an additional cost. Yes, the legal drinking age in Mexico is 18. You must be 18 years and older to enter our bars. All of our restaurants are open year-round. One or two restaurants may close at night during the week whenever there is a theme night. Offering an exceptional hospitality experience, our concierge desk will be your first point of contact for any questions that you may have, concierges also offer orientation and assistance in coordinating on-site and off-site services. Our concierge desk is available from 9:00am to 9:00pm. We offer king and double beds. Specific details on bedding configurations per suite are outlined in Suites. We offer suites that are fully equipped for guests with special physical needs, please contact us directly to learn more, and to book. Non ground-floor rooms have balconies, ground floor suites offer a terrace and some offer a semi-private swim-up pool. Tour offered by third party vendors may be purchased at our on-site hospitality desk, located in the main lobby. Pool and beach cabanas are available for rent on a first come first serve basis, prices range from US$50, to US$145. Cabanas may also be reserved in advance by contacting Guest Services: spa.front@hyatte-concierge.com. No, neither spa nor salon treatments are included. Treatments may be booked in advance by contacting our spa manager: spa.front@hyatt.com. We offer all-inclusive watersports, such as aqua-aerobics, pool parties, and water volleyball. Yes, subject to aviability with prior planning. Yes, there are several shopping destinations just minutes away from our resort.